Description: Find your wings and soar with Rumi's words and Celtic birds into the heart of your great potential. The text reads: You were born with wings. 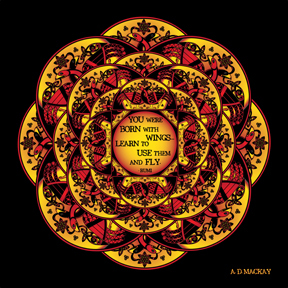 Learn to use them and fly.